This spacious five bedroom villa offers beautiful views of the sparkling Mediterranean Sea. It may come as no surprise, therefore. This spacious five bedroom villa offers beautiful views of the sparkling Mediterranean Sea. It may come as no surprise, therefore, that it is an idyllic spot to relax - especially in the beautiful landscaped garden, the large outside swimming pool or on one of the lovely terrace areas. The villa is spread across two levels and includes a spacious and comfortable interior, with enough space for a large family or group of friends. It includes a thoughtfully furnished living area, a well-equipped kitchen, five bedrooms and three bathrooms.The villa is situated less than 3km from the town of Les Issambres, where you can discover over 8km of pretty coastline, with plenty of beaches, coves and creeks to explore. You may also wish to enjoy a walk along the coastal footpath and admire the pretty vistas and stunning landscapes. Alternatively, enjoy a boat trip to Saint Tropez, Cogolin and Grimaud, and discover some of the French Riviera's most iconic spots. For golfers, the golf course of Sainte Maxime is just 10km away. 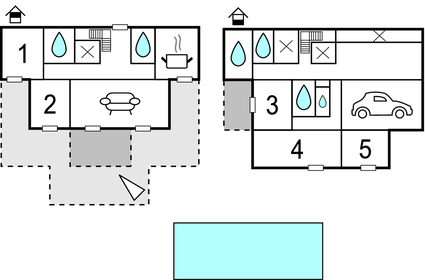 This solidly constructed villa was originally built in 1985 and refurbished in 2019. The agent has rated it as a four star property so it is a well-equipped villa with above average furnishings. It is also great value for money. 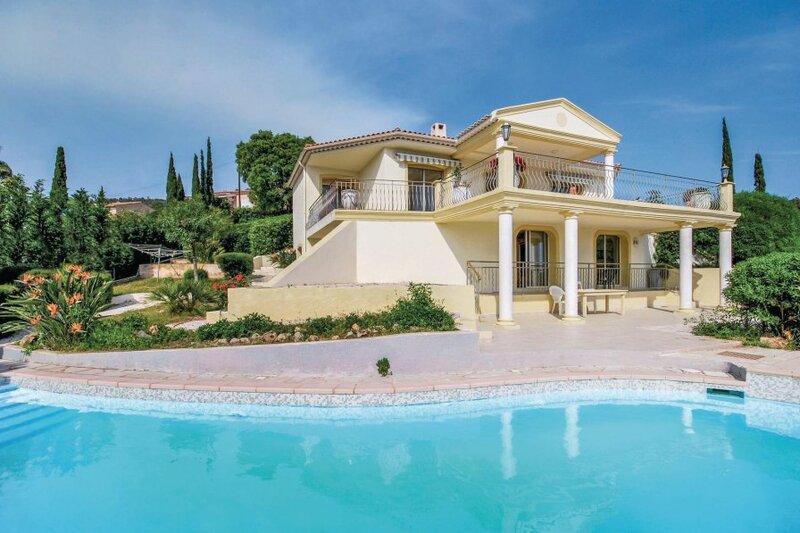 This villa has a private pool and beautiful panoramic view over water; it is also located in Roquebrune-sur-Argens, only 8km from Sainte Maxime. It is set in a very convenient location, 2km away from a rock bound coast and 1km from a sandy beach. There's also a restaurant 1.4km away.